The Canadian income distribution is a mixture of Aboriginal, Non-Aboriginal, Urban, Rural and Gender based constituency distributions which Social Justice imperatives suggest should exhibit similarity across constituencies. Capturing the degree to which they are similar is closely related to notions of polarization and convergence among these many disparate constituencies. Unfortunately, increasing similarity increases the potential for ambiguity or lack of unanimity among the wellbeing indicators conventionally employed in exploring differences between groups, and the tools presently available only suit pairwise comparison or analyses of collections of latent, indeterminate groups. By exploiting subgroup non-decomposability of the Gini coefficient, this study produces three new tools for measuring the extent of segmentation, polarization and the potential for ambiguity in societal Income Wellbeing orderings among many identifiable subgroups. Employing these tools in an exploration of the evolution of constituent Canadian Income distributions over the first decade of the 21st Century reinforces the inequality—polarization distinction revealing increasing inequality coincident with diminishing segmentation and polarization which suggests some advancement of Canadas’ avowed social justice agenda. 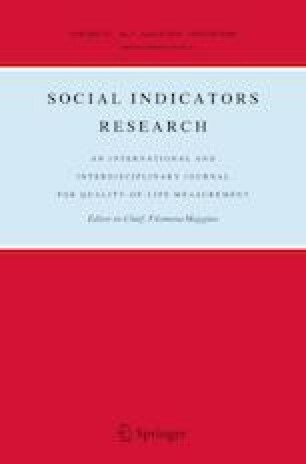 An increasing potential for ambiguity among wellbeing indicators is also apparent. Multi-group overlap measures do not account for distances between groups (mutually exclusive groups with large distances between groups may be considered more “segmented” than mutually exclusive groups with small distances between groups). However, components of the \( GINI \) coefficient can be shown to do so. We may think of overlap measures as first order comparisons and \( GINI \)-type measures as second order comparisons each conveying different pieces of information. Chrétien, J. (2000). Tribute to the Right Honourable Pierre Elliot Trudeau, House of Commons, September 29, 2000. Office of the Prime Minister. Retrieved from Library and Archives Canada. http://www.collectionscanada.ca/primeministers/h4-4082-e.html. Status of Women Canada. (2017). Gender equality. Status of Women Canada, Government of Canada. http://www.swc-cfc.gc.ca/commemoration/iwd-jif/equality-egalite-en.html.